My first project was inspired by my daughter's new shirt (that she bought with Christmas $$), but it hasn't been warm enough yet to wear it! 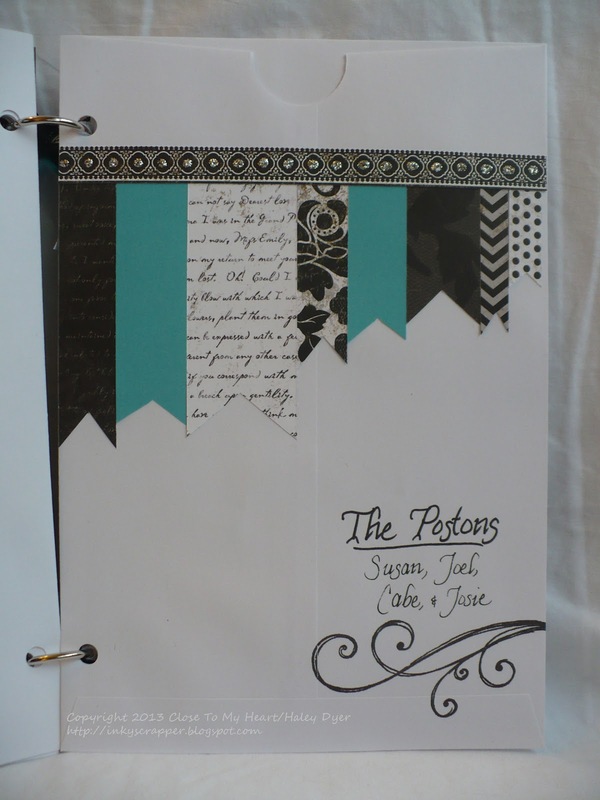 (I will repost the layout once I get somebound-to-be-darling pictures of her in it.) 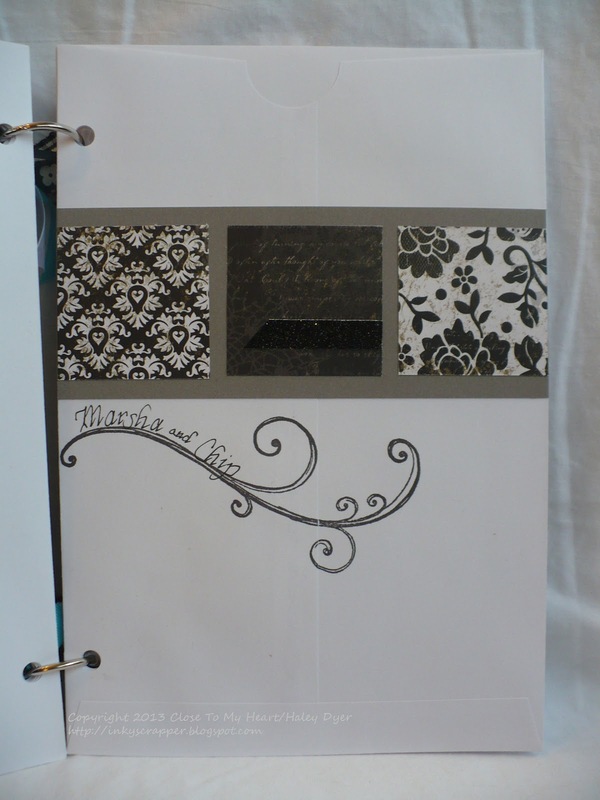 This layout pattern is from the Make It From Your Heart how-to guide. 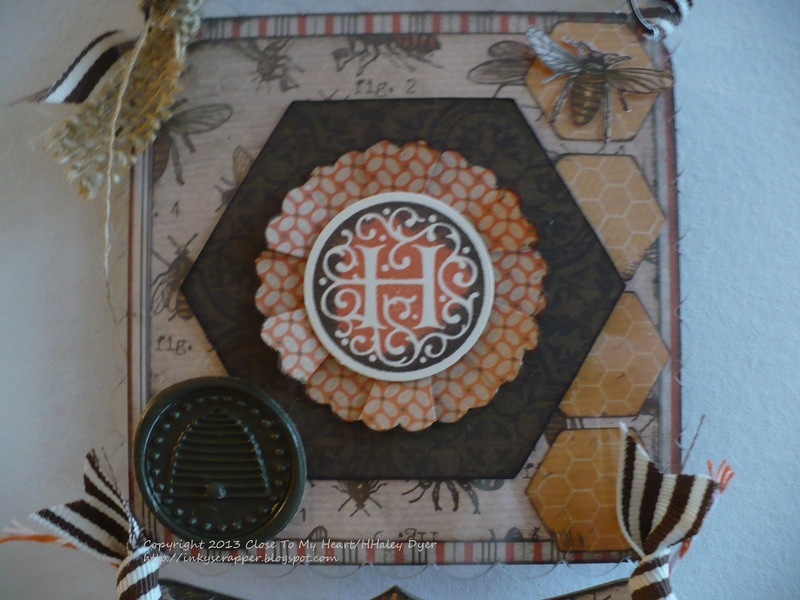 The colors I used are Buttercup, Sunset, Hollyhock, Lagoon, and Outdoor Denim. 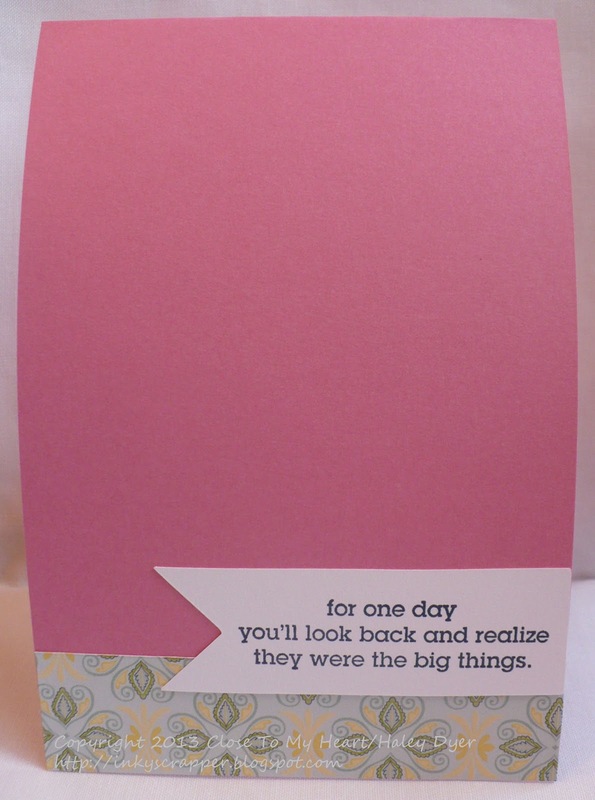 I random stamped the largest rose in all of the colors. 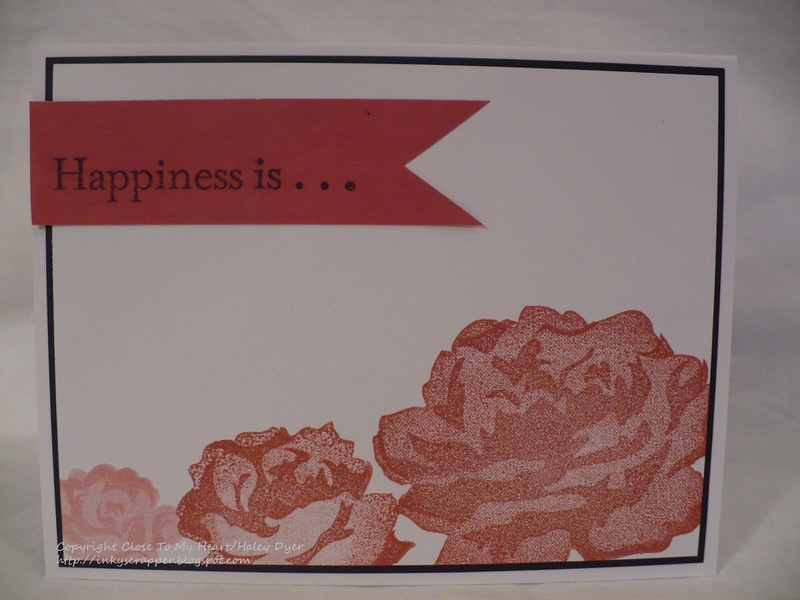 On the two Hollyhock squares, I random stamped the tiniest rose in Hollyhock on Hollyhock. 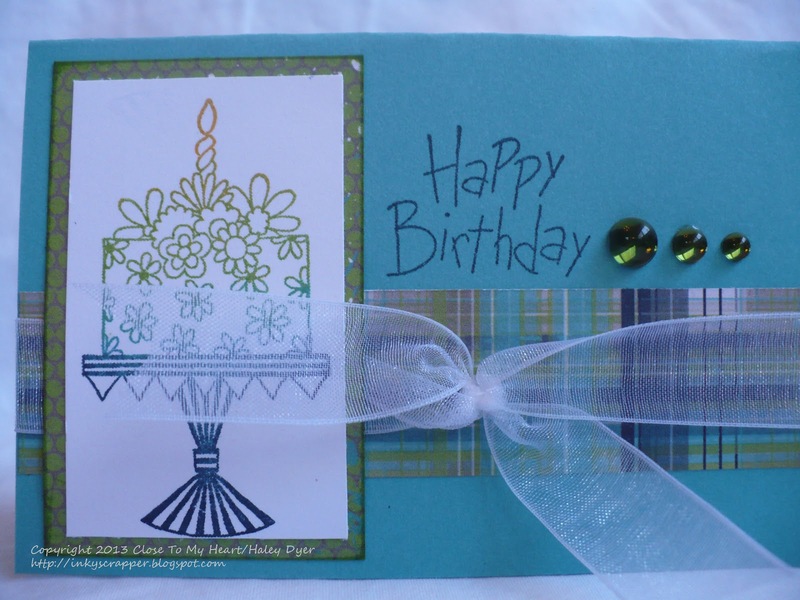 I stamped the sentiments with Outdoor Denim. 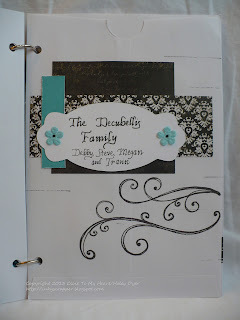 The papers I used from both the Claire and Chantilly collections. 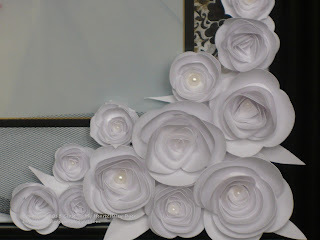 Of course I had to add some of the Claire floral embellishments. They are so pretty. 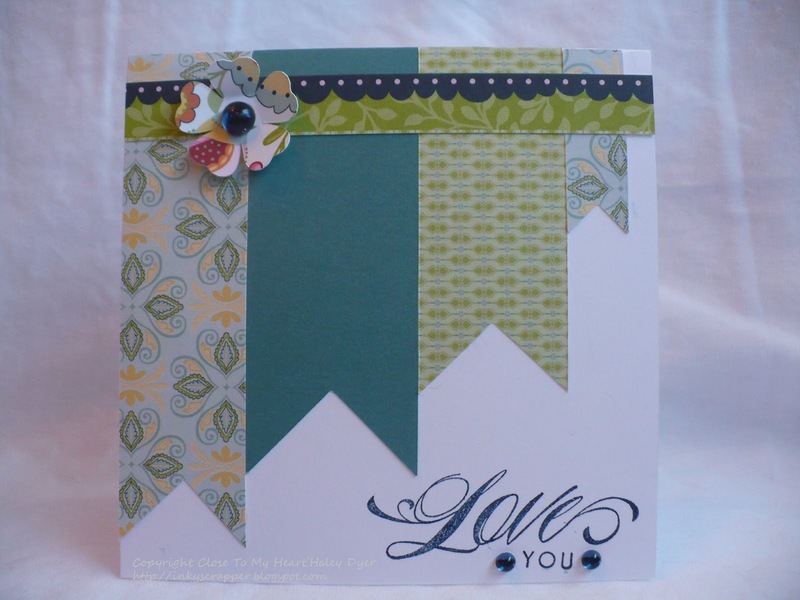 The coolest element to me is the Hollyhock zipper ribbon! Thanks for hanging out with me for a bit! 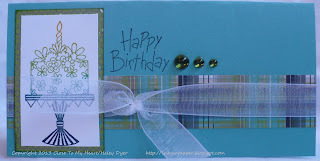 I hope you like my crazy Old Navy-inspired color combo! 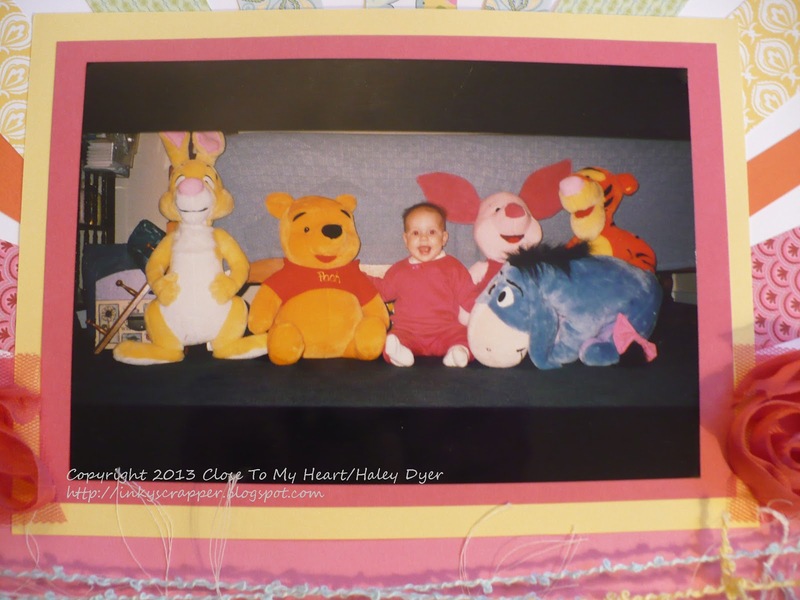 Now, hop on over to Adeline's blog! Scrap Our Stash is launching a new format in March, and I couldn't be more excited about it! Scrap Our Stash will have two challenges each month, and you can play along with either one (or both) until the 29th of the month. The first challenge will be a supply challenge (posted on the first) encouraging you to use a particular category of your stash. The second challenge (revealed on the 15th) will be a sketch challenge. 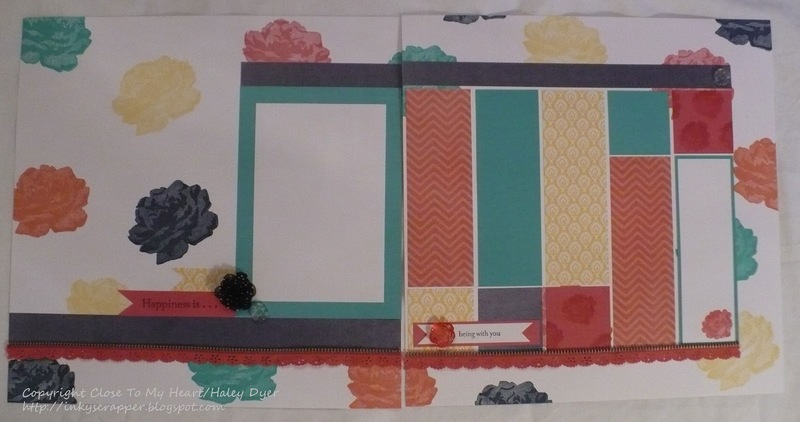 We want to help challenge and inspire you to scrap your stash! Visit the SOS blog HERE! All products and skill levels are welcome! 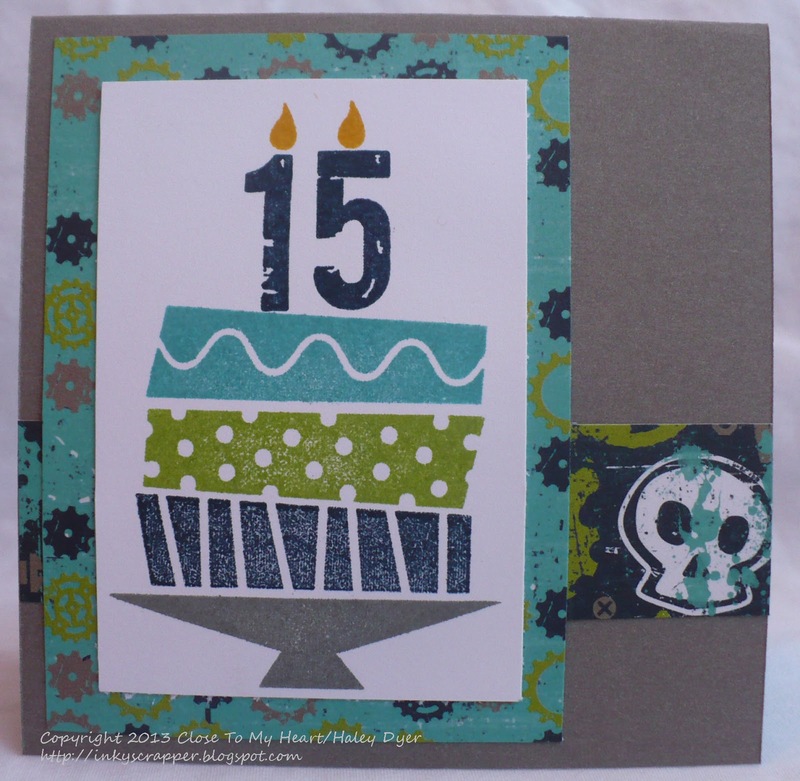 Here is one of the cards my guests made recently at my 13th Anniversary CTMH Open House. It has truly been a fun ride! One of the best parts has been the fantastic people I've gotten to meet. Some of them have become dear, dear friends, and I am so blessed. 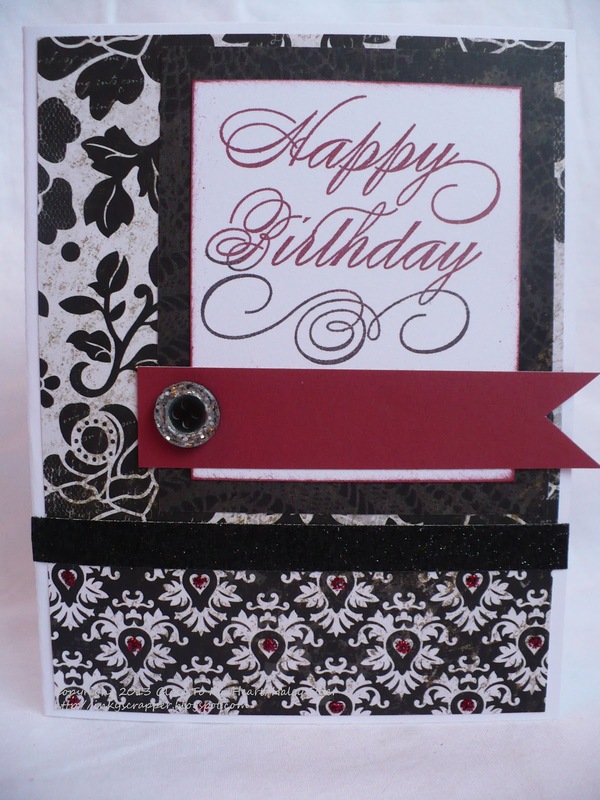 We used the For Always paper pack with Black and Ruby inks. 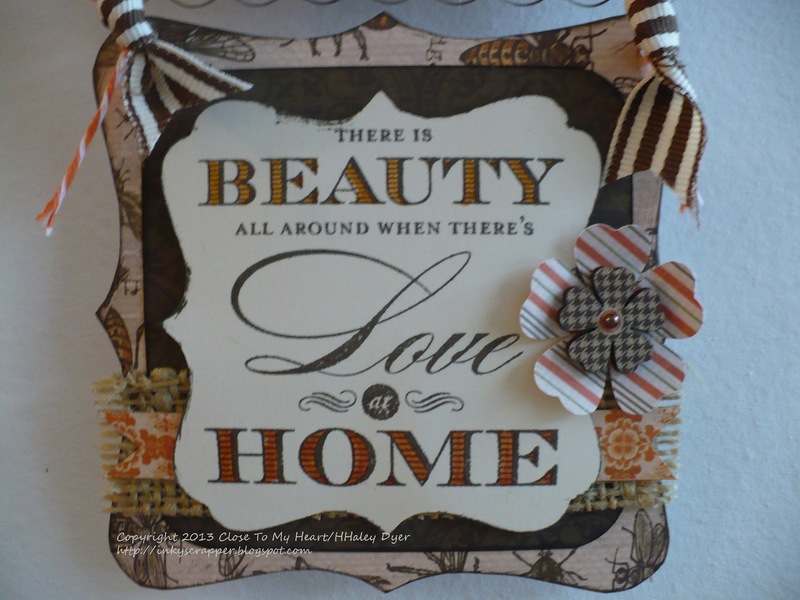 The sentiment is from the February stamp of the month, Home Sweet Home. 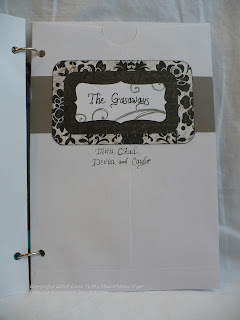 I first inked it up in Ruby, then rolled the top and bottom into Black ink. 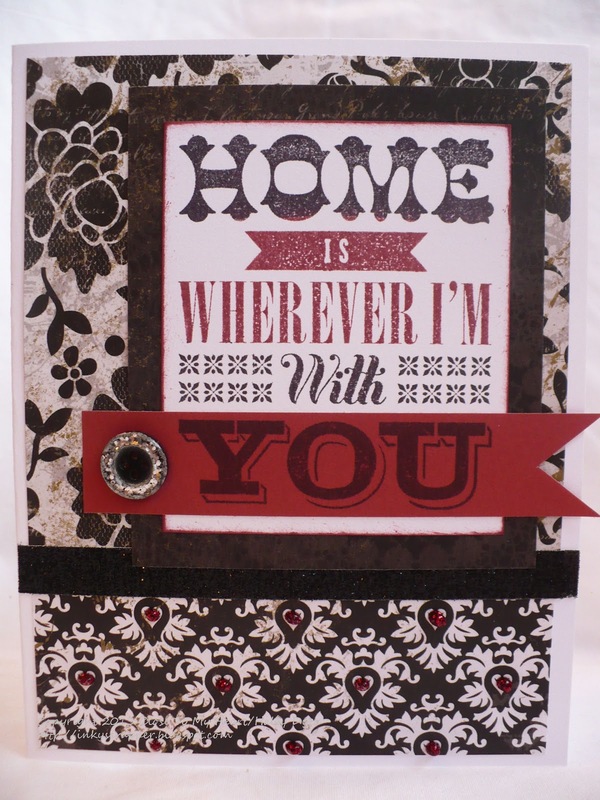 I also stamped the "You" in black on a strip of Ruby cardstock. Isn't the NEW black sparkle button divine? 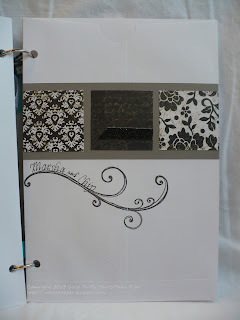 I also love that black shimmer trim too! 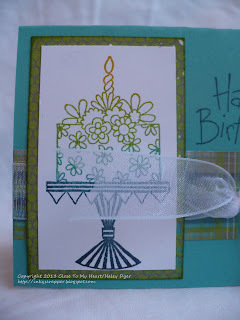 I took the same card pieces and paired it with the 4 My Friend stamp set to turn it into a birthday card. 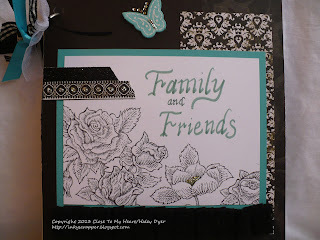 Again, I stamped the sentiment in Ruby and then inked up the swirls in Black. 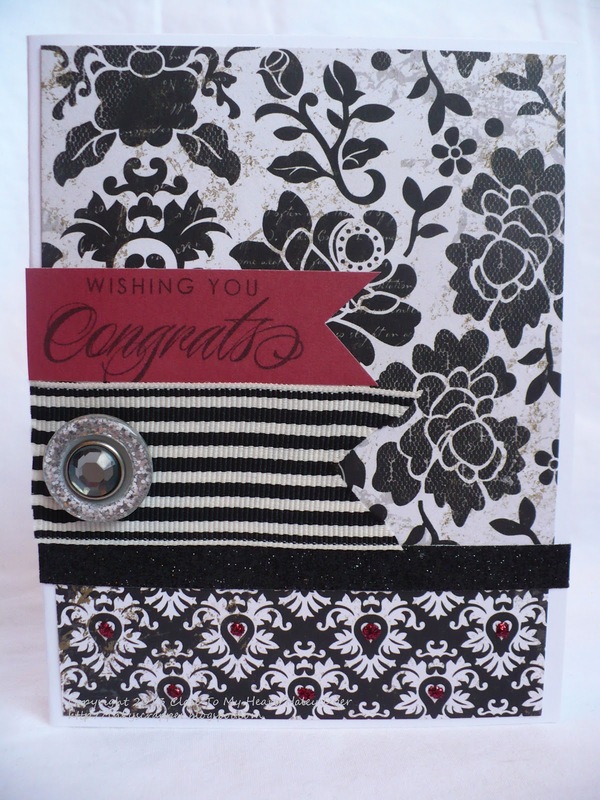 For my final card, I didn't have a sentiment panel so I added the gorgeous black & white grosgrain ribbon and then stuck a pewter badge button inside the Slate glitter button. 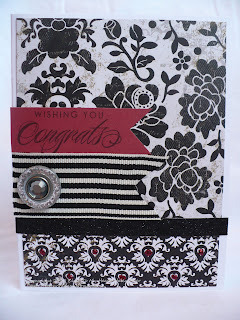 Did you notice the Red Glitz Glitter Gel that I added to the bottom panel on each card? 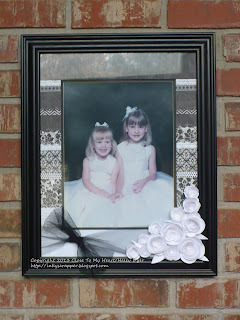 We have some exciting things going on at Scrap Our Stash challenge blog this week! To celebrate the launch of the merge with If It's Groovy, a new look and a new challenge format, Scrap Our Stash is hosting a Giveaway A Day! Please visit SOS each day starting TODAY, February 25th, for details on entering the daily drawings! Happy Birthday, Dad! Surf's Up! Please join me in wishing my Dad a very happy birthday today! 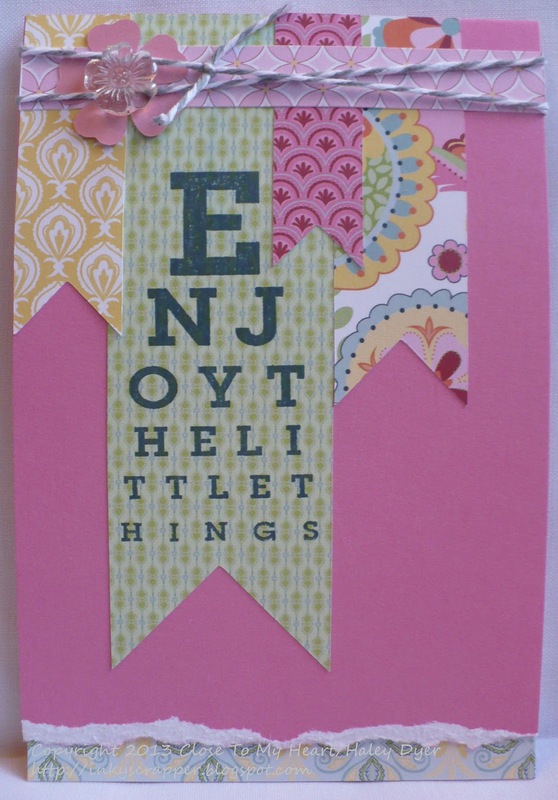 I won't tell his age (I'm not saying he's old or anything...), but since he had cataract surgery Monday on eye #2, this "eye chart" stamp set was a perfect choice for his card! ;) I certainly hope he can read it okay. The new Surf's Up paper pack was a fun choice since he and my Mom spend the winter months back in his (and my) hometown in Florida. I wouldn't be surprised if Dad did a little body surfing or water skiing before he heads back home. We love and miss you, Dad! 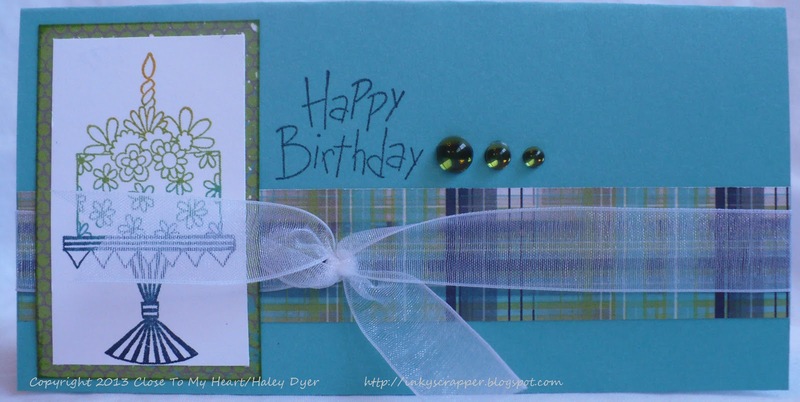 Have a very happy birthday! For quite a while (several years? 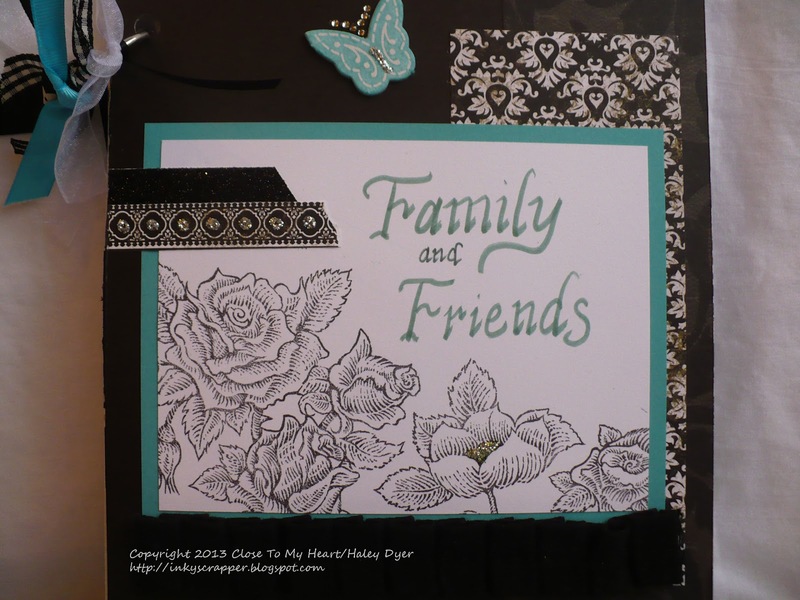 ), I've had this idea to use 6"x9" envelopes to create a "book" to hold all the lovely photographs we get from family & friends. Generally they arrive at Christmas time, but we do sometimes get pictures in the mail at other times of the year, so I didn't want to go with a Christmas theme. At a local discount office supply store, I found an inexpensive package of 6.5"x9.5" envelopes that I knew would be perfect for this project. 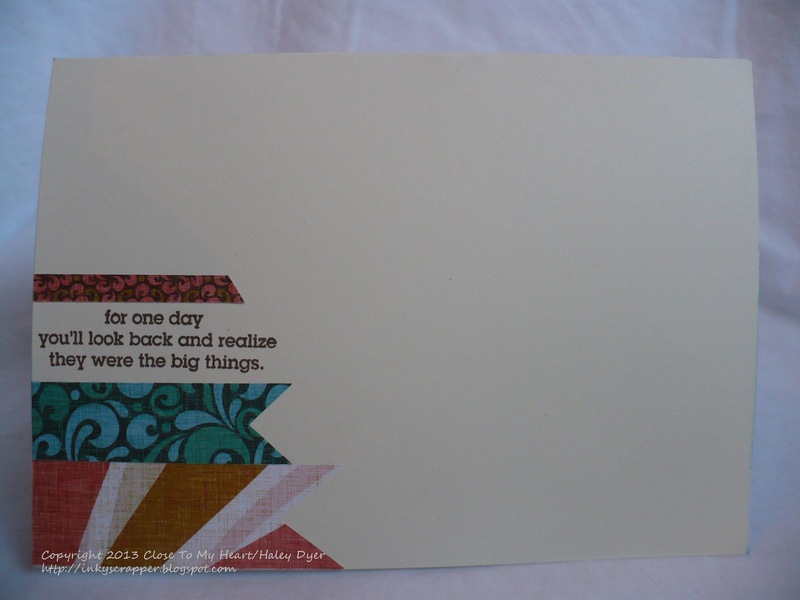 I also knew that the new For Always paper pack was just what I had been waiting for! 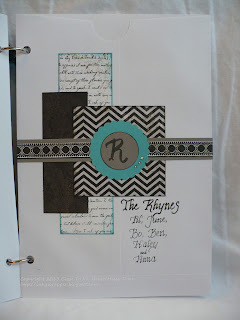 I used several (retired) stamp sets and ribbon for my envelope book. The current Dynamic Duos challenge #40 is one of the gorgeous combos in the For Always paper pack: black and Lagoon. 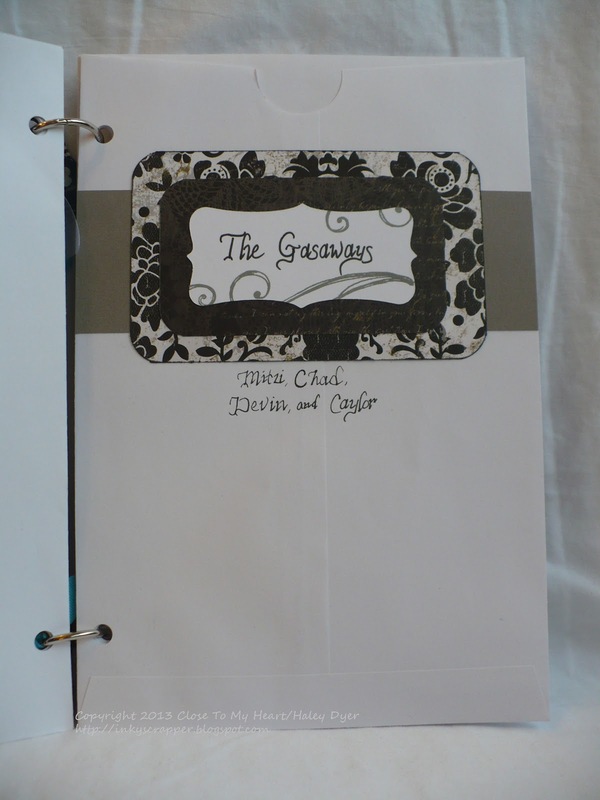 The envelopes are in alphabetical order by last name, and I can easily add more as time and photos permit since they are held together with book rings. I decided to write the names myself rather than print them to save time and to keep them uniform yet personal throughout the years. Almost everything is from Close To My Heart (with some retired ribbon thrown in from my stash), plus random flowers and ribbon. 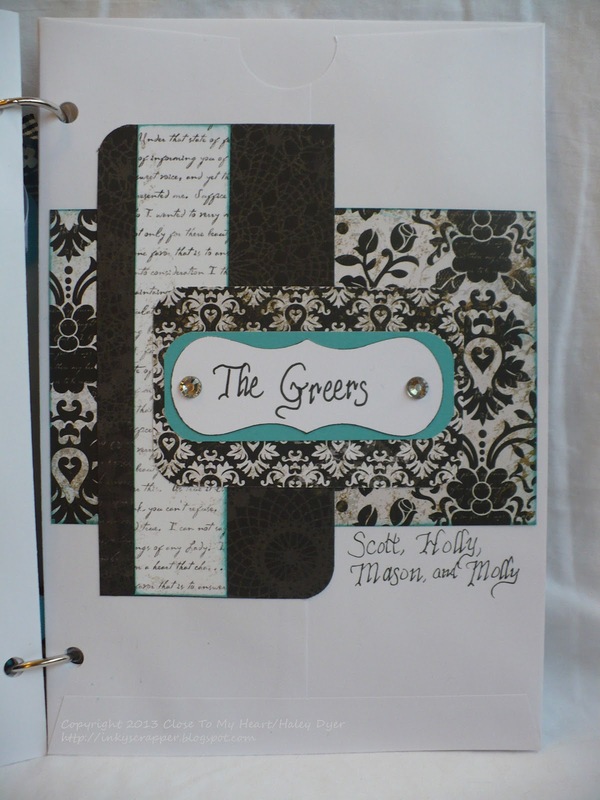 This "album" or book is sure to become a family heirloom as we enjoy looking at friends' and family's photos, notes, and special cards through the years. If you have any questions, feel free to ask them in the comments section. Thanks so much for looking! 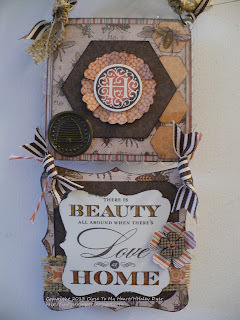 Scrap Our Stash Blog Candy/Giveaway Alert! We have some exciting things going on at Scrap Our Stash challenge blog next week! Please visit SOS each day starting February 25th for details on entering the daily drawings! H2H Challenges: Tag, You're It! If you're reading my blog, then TAG, you're it! 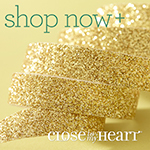 Now you've got to play along with us at Heart 2 Heart Challenges! 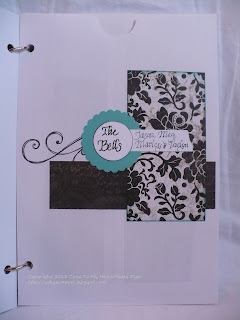 This week's challenge is to use a tag on your project. My card was totally inspired by one that I saved to my Pinterest Paper Crafting board. (You can see the original here.) 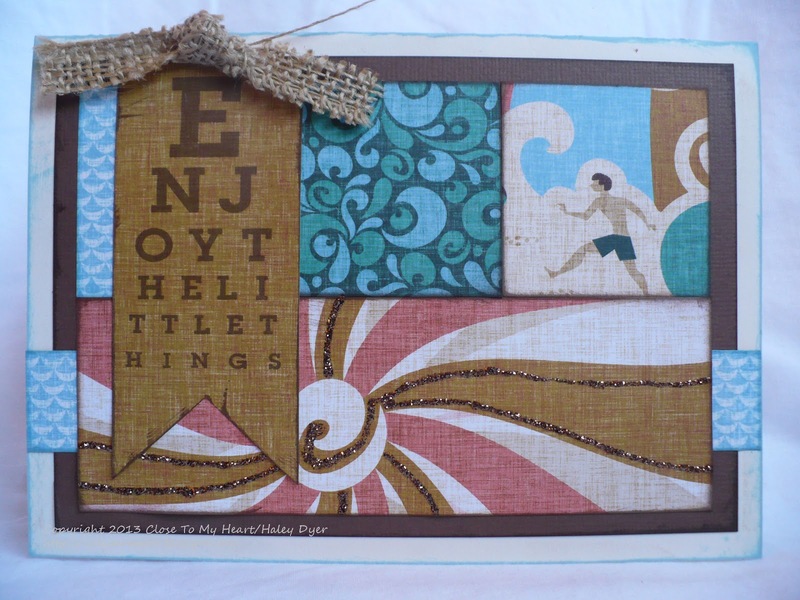 I love banners and tags, and they look great together. 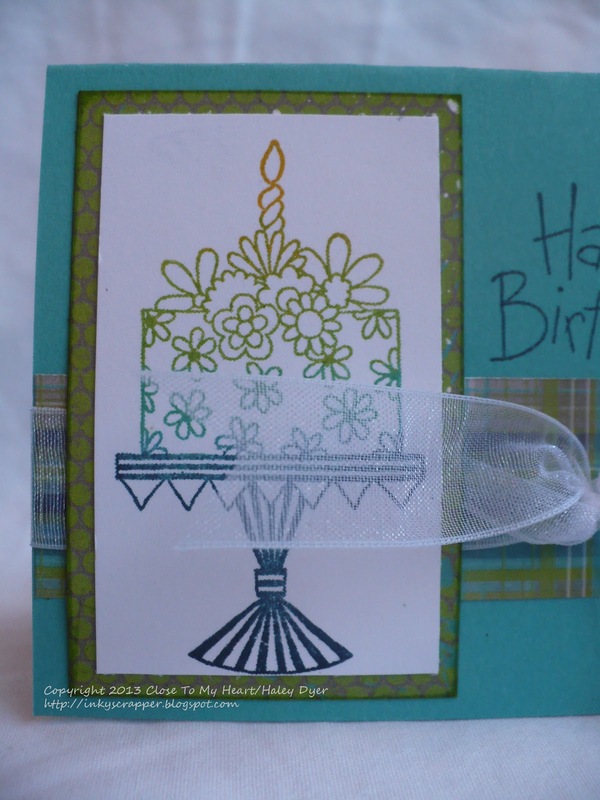 I began with a Creme Brulee standard card base. 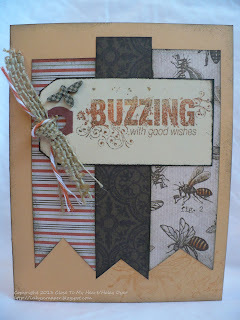 The three banners or flags are scraps from my Buzz & Bumble paper pack. The tag is from an office supply store. I used my A Buzz stamp set for the message, inking it up first in Creme Brulee, then Sunset, and finally a little Cocoa. I used a scrap of burlap ribbon, Sunset baker's twine, and a little wooden bee from the Buzz & Bumble embellishment collection. Now it's your turn to take the TAG challenge @ H2H! We'd love to see your interpretation of this fun challenge! New CTMH Idea Book Blog Hop! My next card shows off the blue & green side of Chantilly with this Valentine card I made for our younger DD (with the 4 My Friends stamp set). Of course, For Always is a close tie for favorites, and I know that I'll reach for this one again & again! How about For Always paired with Chantilly? 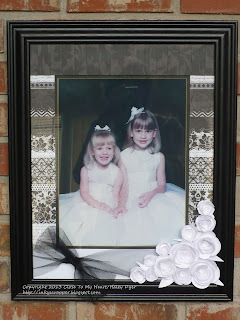 You may have seen a few of these projects already, but I couldn't resist sharing them here again during the new product blog hop. 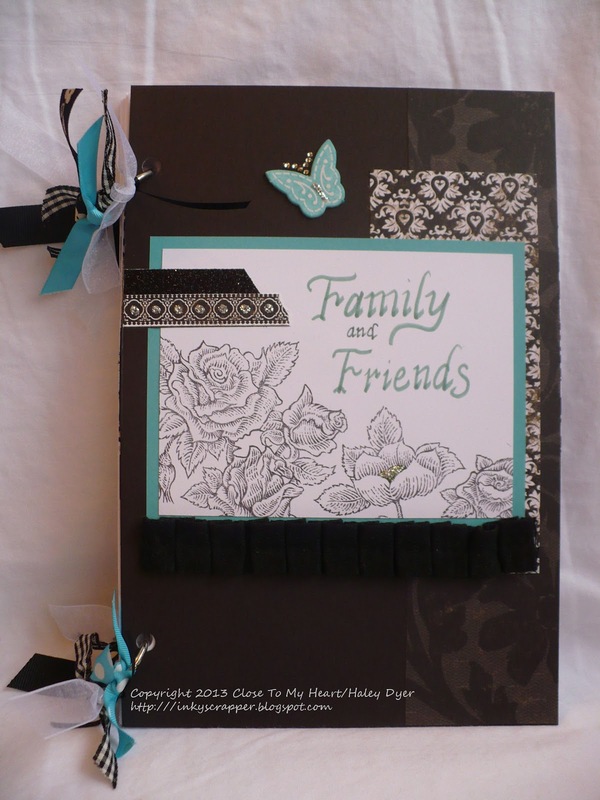 What's your favorite new paper pack collection? 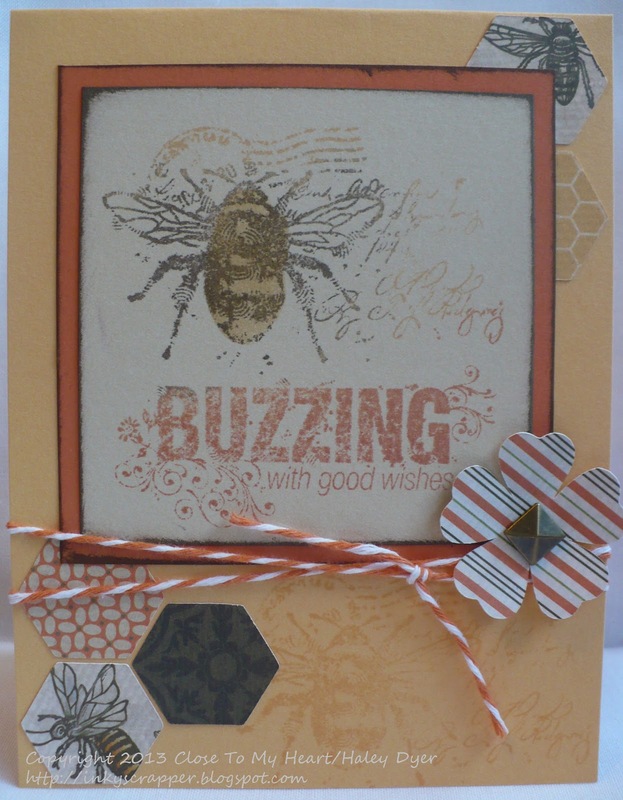 Thanks for buzzing by! 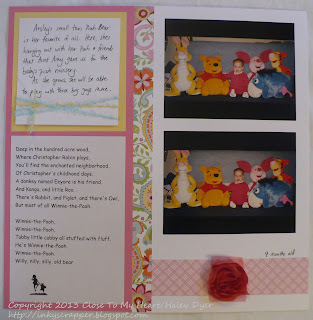 Now head on to see Heather's fabulous layout next! 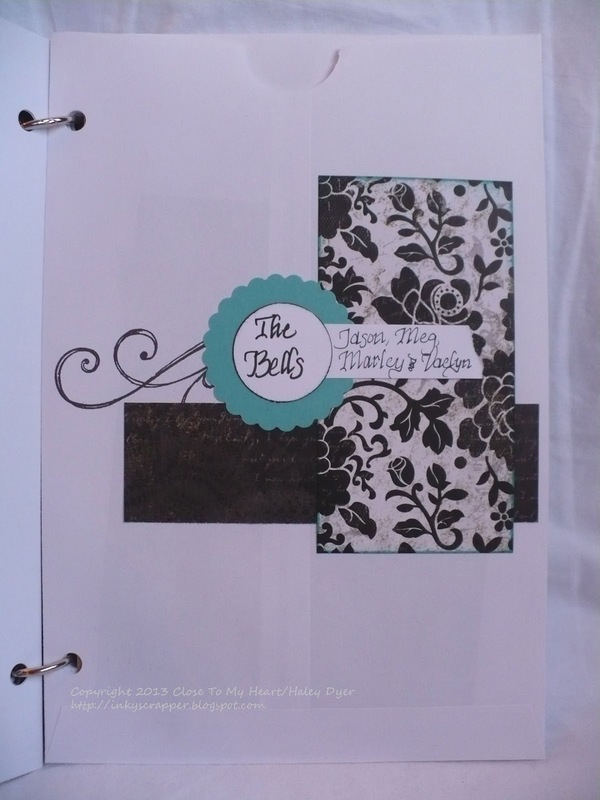 New Product Blog Hop Tonight! 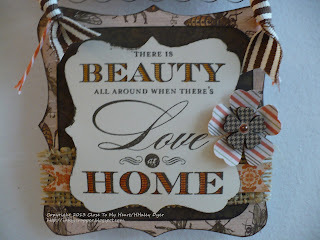 Come back here after 9 PM tonight (or this weekend) to check out an amazing NEW PRODUCT BLOG HOP! 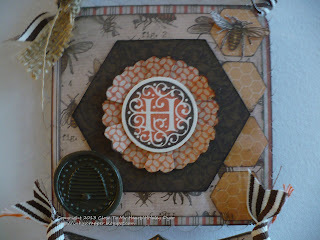 We'll be featuring all new products from the Spring/Summer CTMH Idea Book. Contact me (see sidebar) if you want a copy and can't come to my Open House on Saturday. Once again, Pinterest strikes! 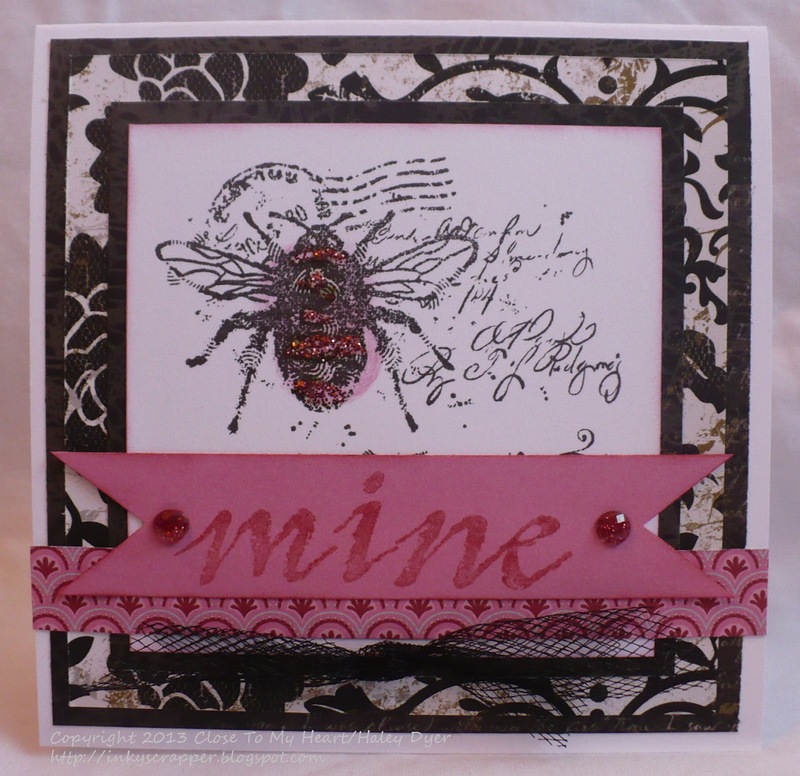 I'm not sure who pinned the inspiration for this card (a bee and "mine" on a pink background), but when I saw it I immediately thought of my new A Buzz stamp set. Since our older DD loves pink, I knew this Valentine idea would be a card just for her! 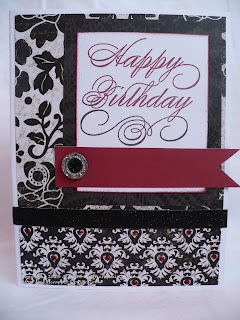 I used both the new For Always and Chantilly paper packs for this square card. After stamping the bee image in black, I colored in the bee with a sponge dauber & Blush ink. The "mine" banner is stamped in Cranberry on Cotton Candy cardstock with a strip from Chantilly to make it all match. (The banner is covering up the sentiment of the original image.) Since it's for my DD, I had to add a little pink Glitter Glitz Gel to that pretty bee. I also used our new Pink glitter gems too. 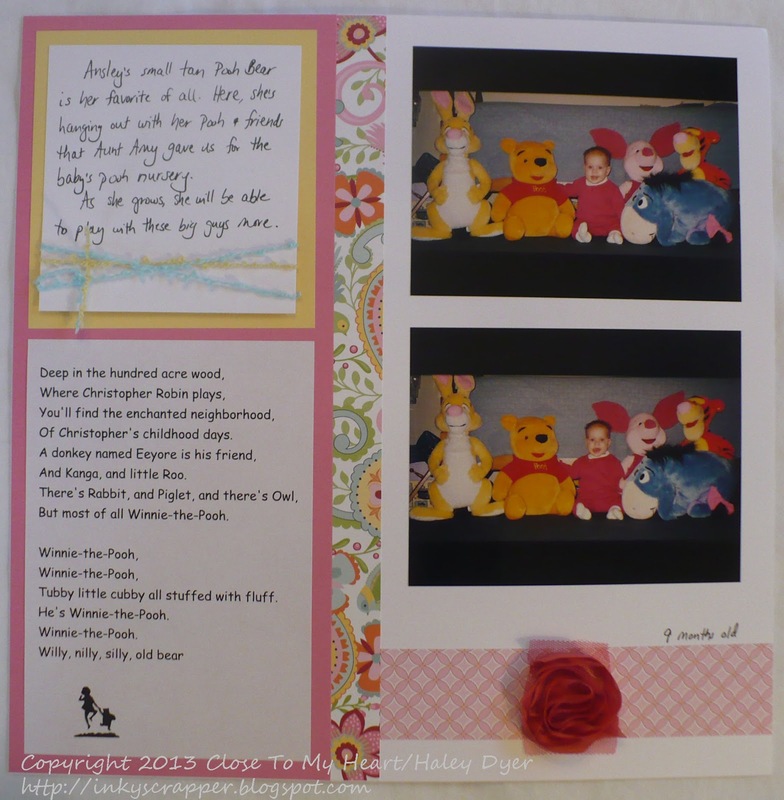 I'm linking this card up to the Heart 2 Heart Love challenge , the Pink Elephant "Love is in the Air" challenge, and the Color My Heart Color Dare #29, Cranberry & Blush. Happy Valentine's! 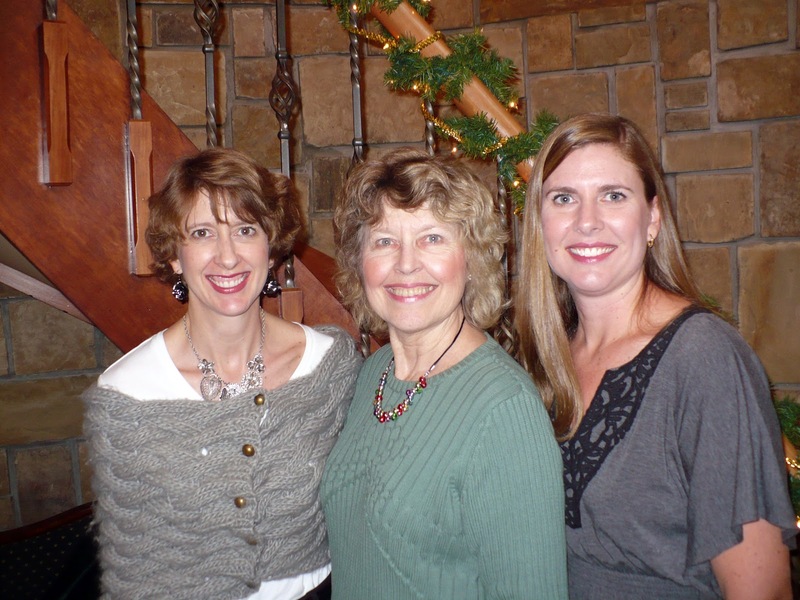 Happy birthday today to my dear friend Traci! 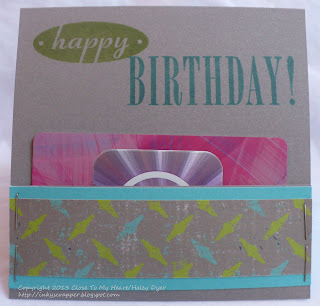 Here's the card that I made for her, showing off a more feminine side to the new L8r Skater paper pack. 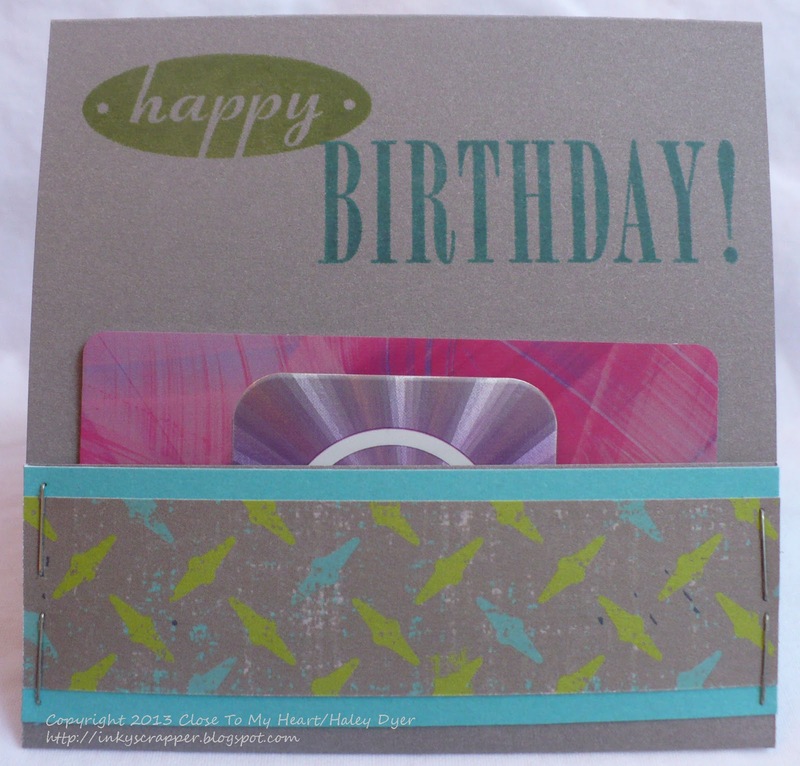 The base is a 6"x6" square of Lagoon cardstock. 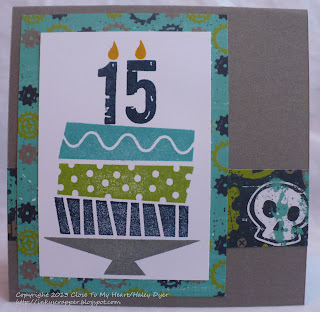 I used the retired Piece of Cake stamp set and my favorite inking technique: stamp rolling (or Rock 'n Roll) with Honey, Pear, Lagoon, and Outdoor Denim inks. 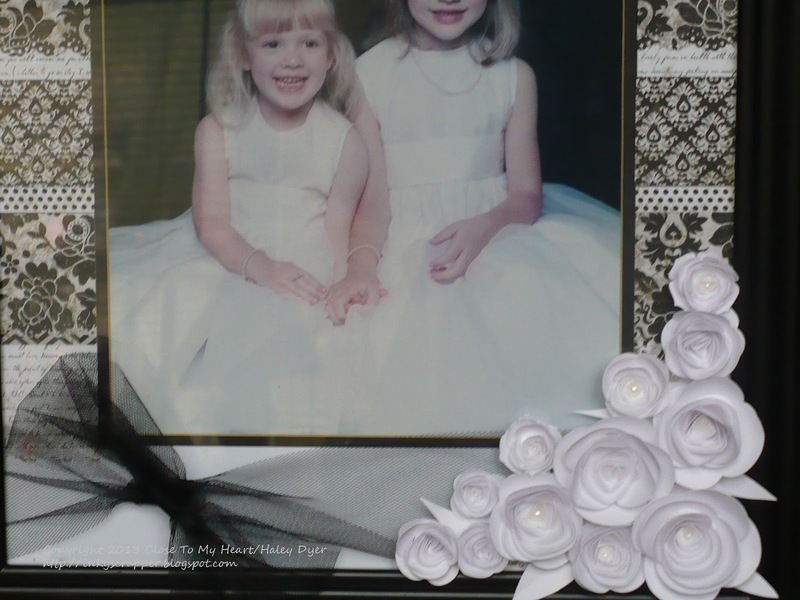 This pretty White Daisy ribbon is retired, but the clear green gems are NEW. An iTunes gift card is the perfect gift! 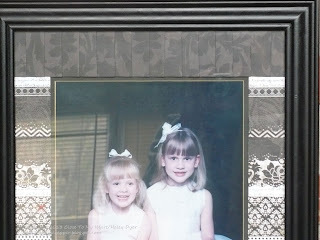 Hope these two have a very happy birthday! 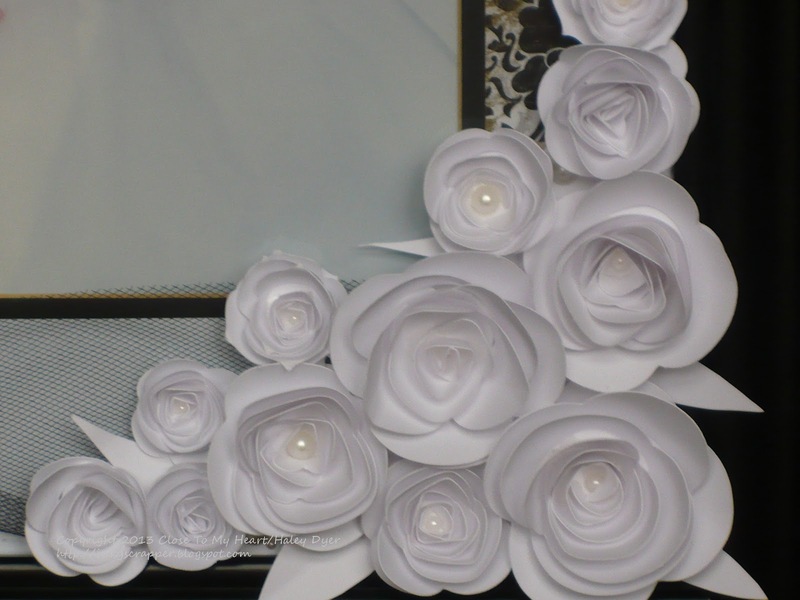 For the bottom, the Cricut Art Philosophy roses cover the gap that the 12" White Daisy cardstock left. My husband doesn't like the black tulle ribbon bow, so I may see if I can find some white tulle instead (although I really don't want to redo this project). I'm really happy with how the portrait turned out! 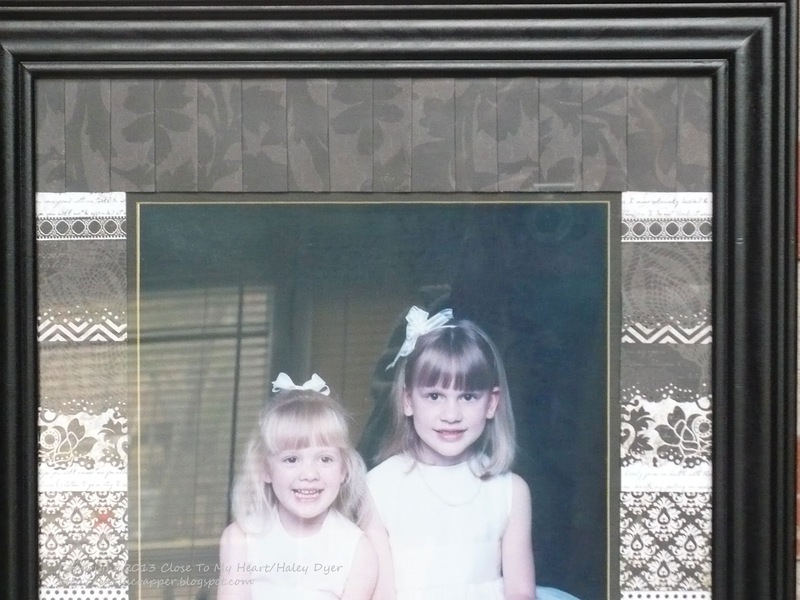 Since you have all month to play with any of the H2H challenges, I am linking this frame up to the home decor challenge. Thanks for taking a look. The right page is a complete pagerization (Is that a real word?) 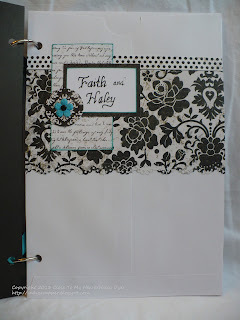 of the Spring/Summer 2013 Close To My Heart Idea Book cover (see sidebar at right), and I LOVE how it turned out. 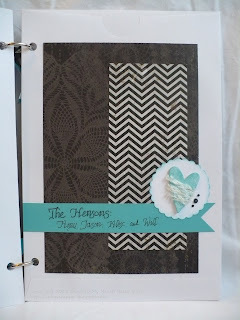 To create the title (which is also her nickname), I cut out the letters on the Cotton Candy cardstock using my Cricut CTMH Art Philosphy cartridge. Then, I backed that piece with some Buttercup cardstock. 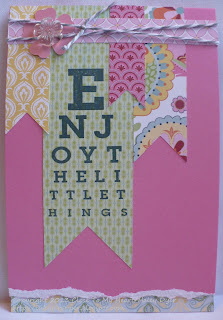 I also glued on the letter centers. I love how the negative space looks in person! Before you head off, I can't resist showing you a "then" and "now" comparison! 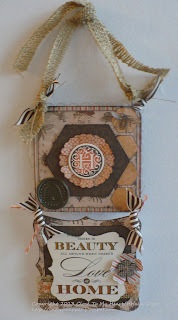 This wall hanging uses two pieces of a retired My Creations mini album and lots of Buzz & Bumble scraps. 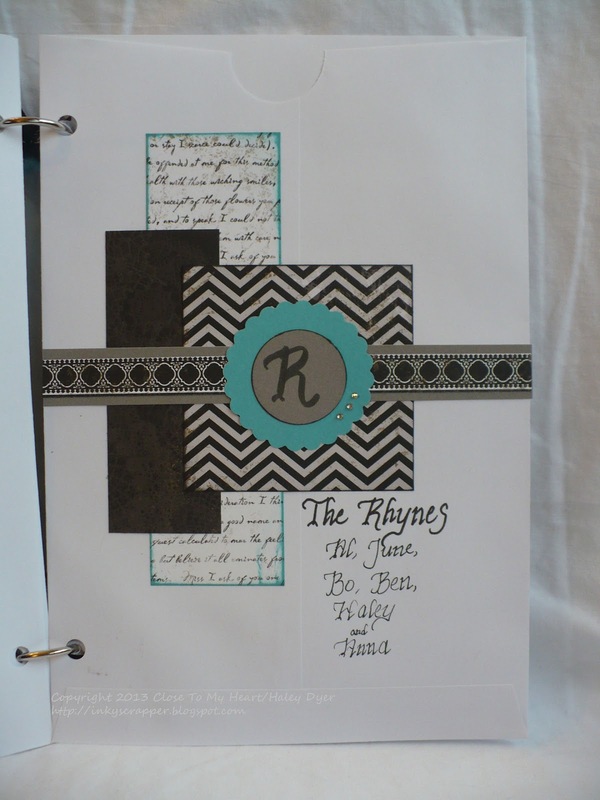 I used the February stamp of the month, Home Sweet Home, on the bottom portion, and the H monogram stamp (for their last name) on the top portion. 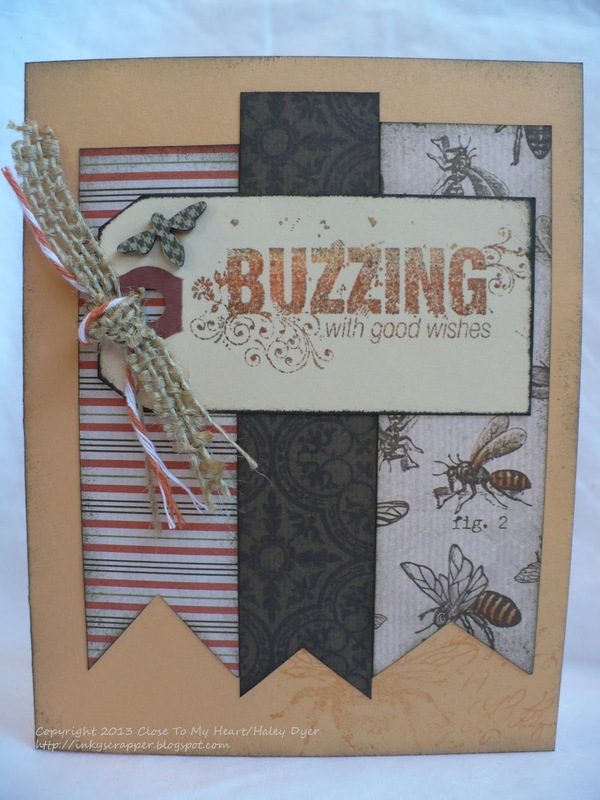 You can see Buzz & Bumble Assortment of embellishments along with some burlap & Chocolate strip ribbon and some scrap Sunset baker's twine. To decorate this piece, I used a scrap that was already cut with the Cricut Art Philosophy (as was the striped flower). 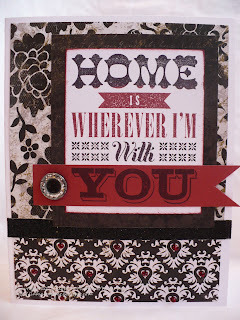 After stamping the sentiment in Cocoa, I colored in Beauty with my Creme Brulee marker and Home with Sunset. Let me know if you have any questions about the wall hanging! 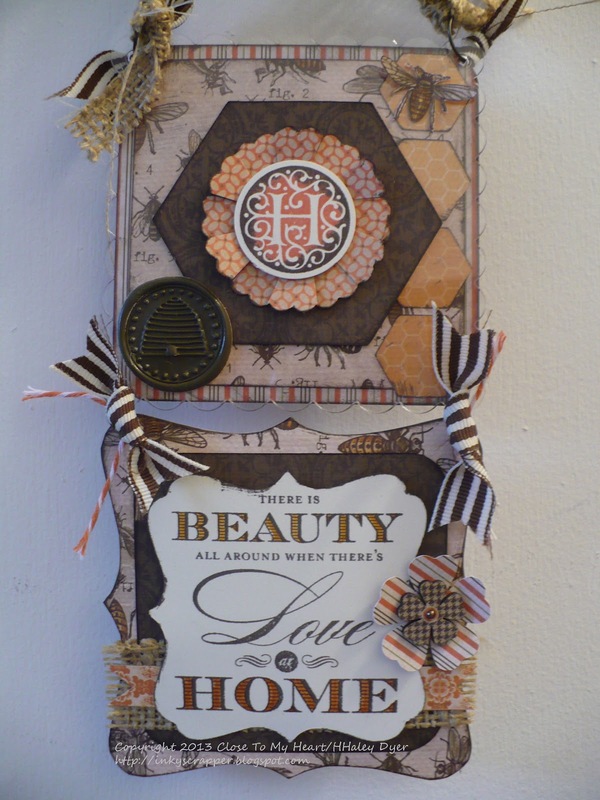 Since I had lots of scraps left, I decided to make a few cards to go along with her wall hanging. I began with a 12"x12" piece of Colonial White cardstock that I cut into two 6"x6" squares (for the 3"x6" cards, above) and four 3"x6" pieces for the four 3"x3" cards (below).